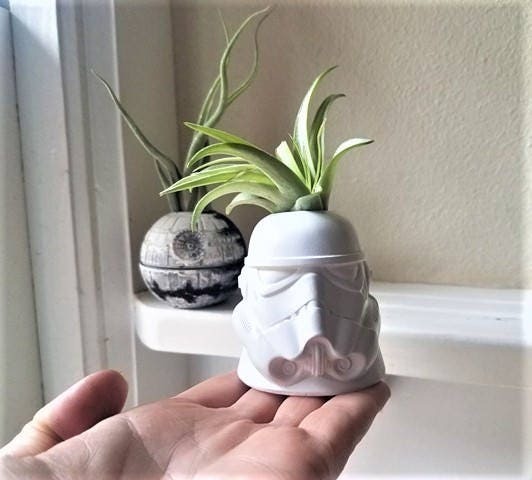 So excited to add this Storm Trooper to my air plant holder collection! Each piece is finely finished, I make each one from scratch, sanding and beveling all rough edges for a smooth finish! All details for realistic Death star finish are hand painted, each one will vary slightly. 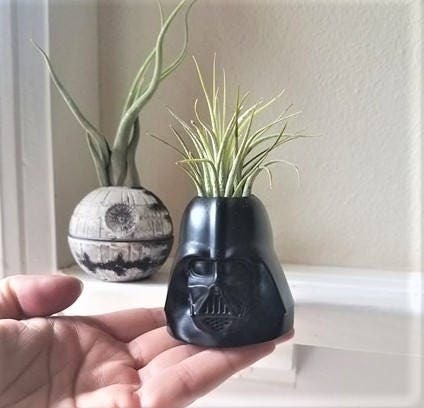 See my shop for other Star Wars themed items! ** as this realistic finish death star is hand painted, each one will vary slightly and has a little bit of spacey shimmer! Quality is great! Perfect size (size of a shot glass) and air plants are in great condition (esp compared to others I’ve received from other stores). I purchased this adorable set for my best friend and she was super impressed with the quality of the product. 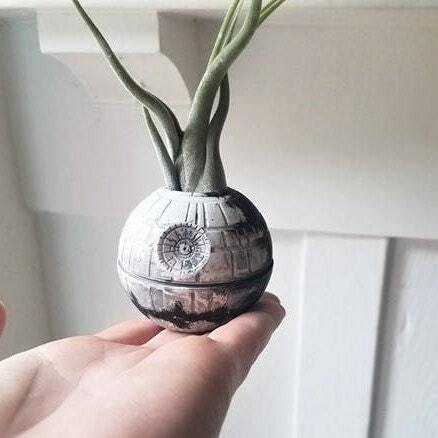 Her favorite was the hand painted detail on the death star. 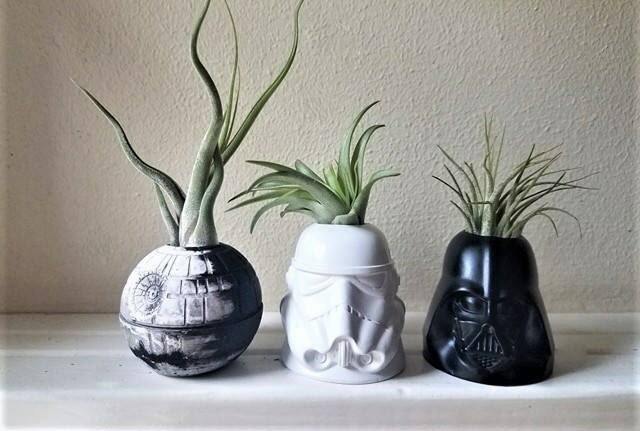 This is such a wonderful creative and unique gift! I highly recommend this item!! !